In pop culture as much as in policy advocacy, the feminist movement has historically left infertile women out in the cold. This book traverses the chilly landscape of miscarriage, and the particular grief that accompanies the longing to make a family. 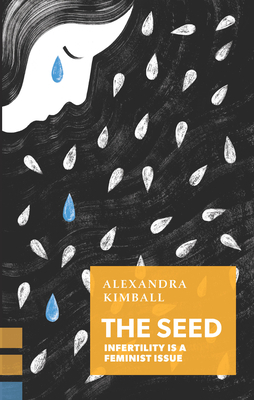 Framed by her own desire for a child, journalist Alexandra Kimball brilliantly reveals the pain and loneliness of infertility, especially as a lifelong feminist. Her experience of online infertility support groups -- where women gather in forums to discuss IVF, surrogacy, and isolation -- leaves her longing for a real life community of women working to break down the stigma of infertility. In the tradition of Eula Biss's On Immunity and Barbara Ehrenreich's Bright-sided, Kimball marries perceptive analysis with deep reportage -- her findings show the lie behind the prevailing, and at times paradoxical, cultural attitudes regarding women's right to actively choose to have children. Braiding together feminist history, memoir, and reporting from the front lines of the battle for reproductive rights and technology, The Seed plants in readers the desire for a world where no woman is made to feel that her biology is her destiny. Alexandra Kimball is a magazine writer and editor in Toronto, and has received seven National Magazine Award nominations. Her journalism and essays appear regularly in major publications across Canada, including Chatelaine, The Walrus, Flare, and Reader's Digest. She is currently an Associate Editor at Toronto Life magazine.